For our runic arrays segment this week we’ve come to bargain. This week we show you the Forgotten Memory array. Notation: Invert the flow of Time over an area 100 time greater than the array if Humans are within the area of the array and Sustain this effect if Humans are within an area 10 times greater than the array. Description: They say the best criminal leaves no trace of what they’ve done. Of course you can always incapacitate and/or kill any witnesses to your crime, but then you are simply creating more lose threads and more mysteries that will lead the keen of eye and sharp of mind to your trail. It would be far better if it appears that you had simply never been there, that you had come and gone like the proverbial thief in the night. This array helps you do just that. This array’s core principle is to create a short time loop that the unsuspecting victim would fall into when they trigger it and fall out of when the array’s energy has run out, completely unaware that anything is amiss. As soon as the victims step over the array it activates and starts inverting time, but if not for the Sustain rune it would stop doing so as soon as the person is back outside the array (leading to a split second time loop as the person hovers over the array). 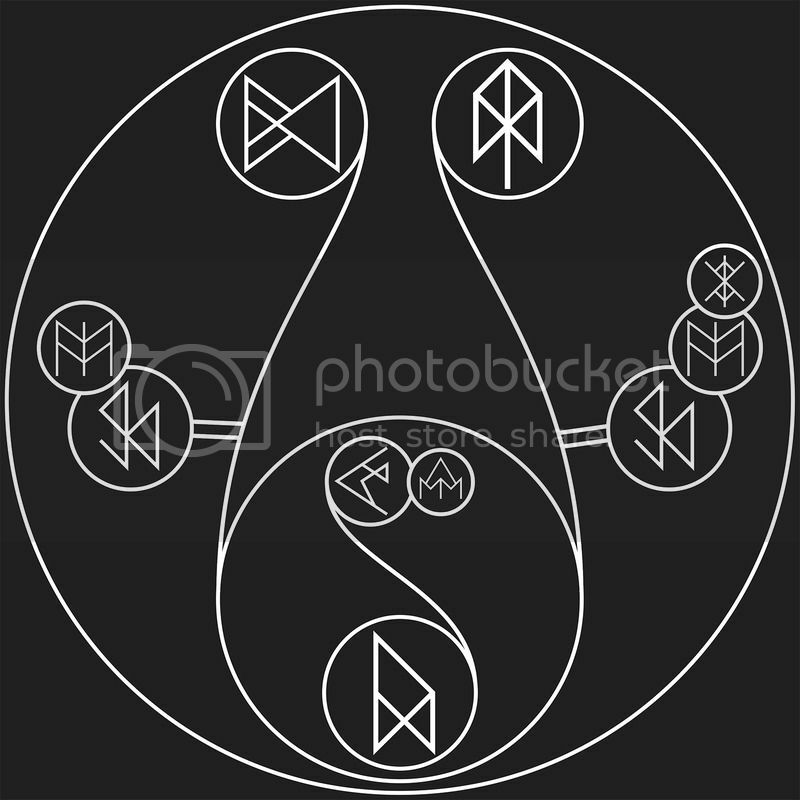 The Sustain rune then takes over and keeps time flowing backwards until the person is well away from the array. This allows for a significant time inversion and puts the person back outside the triggering area, meaning the array isn’t constantly using up its reserve of energy. The person then, with the same frame of mind as a few seconds ago, will most likely again step over the array, trigger the effect again. The only clue they would have that not everything is as it seems is that if there is sufficient energy in the array and the time loop goes for long enough, then the day would turn to night (or vice versa) and the people inside would notice that the time outside is not the same as inside. This could then prevent them from, again, triggering the array and resetting the time loop. The same, of course, would be true for anything that moved into or out of the victim’s line of sight during any of the time resets as it would not be there for the next reset, looking to the victim as if it disappeared into thin air. The way to fix this is to use this array in an area where line of sight and sound is limited. Indoors, for example, or an alleyway at night. With the victims stuck in a time loop, they would have no clue of the world outside changing, and that will give you more than enough time to get into wherever you aren’t supposed to be, do whatever you aren’t supposed to be doing and get back out again. Do it quickly enough, and give the array as little energy as needed, and no one will ever be the wiser. And remember that you have until the end of this week to buy all our Runed Age products for half price!